I live in a lovely old town in Long Island, New York by the name of Sayville. Photograph dated 1899, from the collection of Sayville Library. The towns of Sayville and West Sayville have early Dutch roots and was famous for it’s oyster farming. It was also a destination for New York City residents who vacationed here during the summer months. 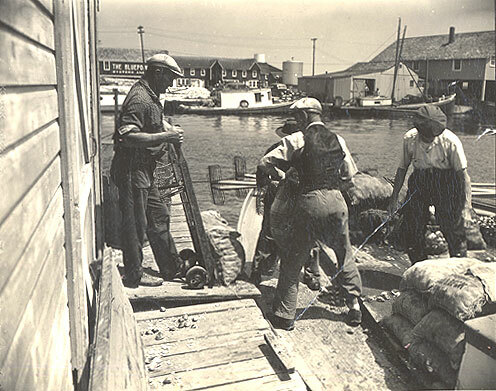 Men at work at the back of the Vander Bourgh oyster company. 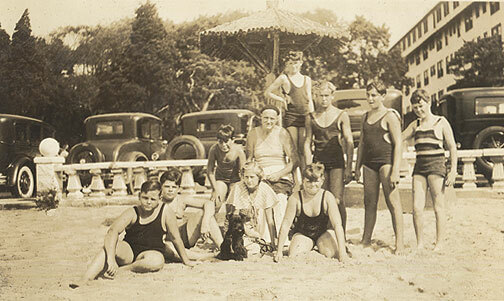 Photograph, c.1920s, from the collection of Sayville Library. Sayville’s location on the Great South Bay provides a quick boat ride to Fire Island. This made it an ideal location to cool off during those sizzling hot days at the turn of the last century and well into the 1900’s. Guests at the Cedarshore's private beach. Undated photograph from the collection of Webb N. Morrison. Many hotels and inns were built for summer tourism. 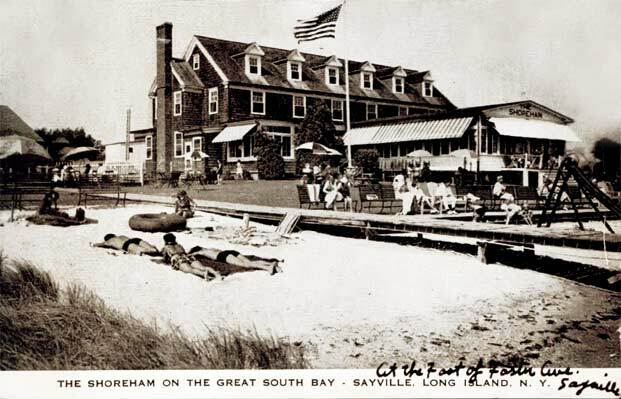 Postcard postmarked 1953, from the collection of Sayville Library. 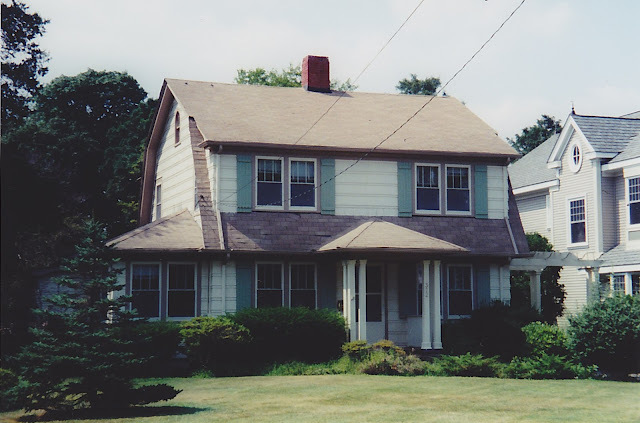 My home is a 1930's Dutch Colonial. Much to my dismay, the exact date it was built is not on the house deed. My plan to visit the town offices to research the records has been on my “to do” list for approximately 10 years now. I went ahead and typed in my address and I was astonished at the wealth of information available! 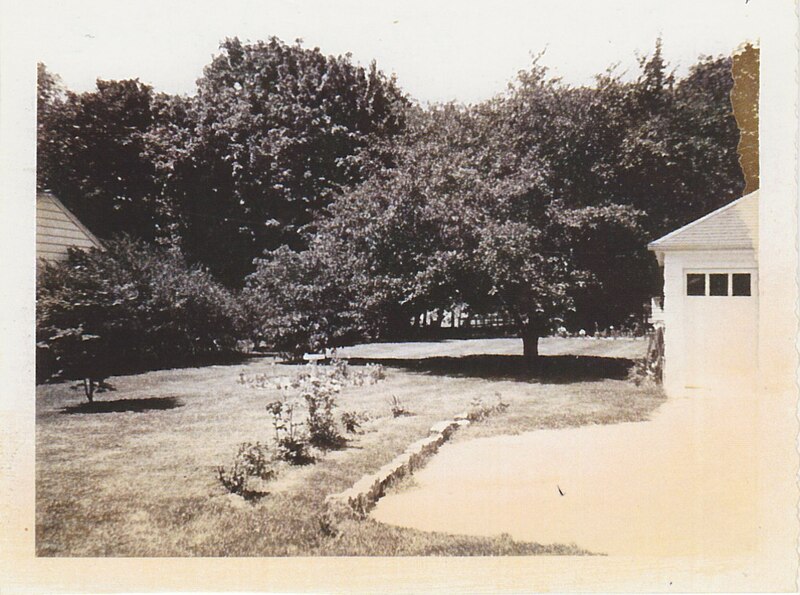 In 1936 through 1939 my “cottage” was owned by Mr. Albert R. Martin and was used as a vacation rental. 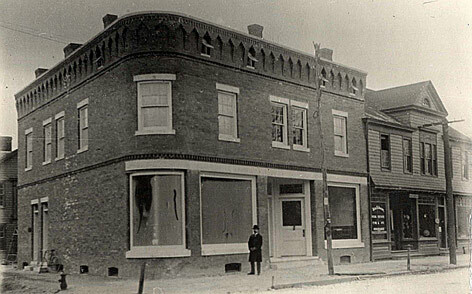 During that time it was rented by Miss Kathryn Burke of Brooklyn, New York. During her summer vacations Miss Burke was socially active. She took part in numerous card playing events, social gatherings, and fundraisers. In subsequent years, Miss Burke went on to rent 2 additional summer "cottages" in the neighborhood. 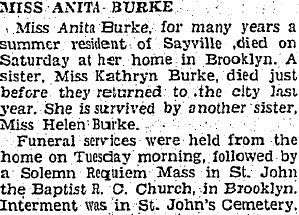 In addition her sister Miss Anita Burke was also a summer resident. It appears from my research that neither were married. Kathryn Burke died in 1949 and her sister Anita died a year later in 1950. I’d love to learn more about the first known inhabitant of my home. I'm curious if Kathryn stayed in this home alone or if she had many visitors staying with her. It seems odd to me that she would need a 4 bedroom house all to herself. But then again, with the miniscule size of the closets I can imagine she needed each one for herself. After Miss Burke's stay the house no longer shows up on the roster as a summer rental. Perhaps it was a permanent home after those years. Sayville High School class of 1937. If this is his son, I can document his life quite extensively through the newspaper. That being said, I was unable to draw a direct lineage between the two Mr. Martins at this time. By the 1950’s the home was owned by Mr. and Mrs. Daniel Leary. In 1958 both were involved in a car accident that left them in serious condition. While driving on Southern State Parkway in Wantagh, New York, they were hit head on by a car that jumped the divider. Fortunately they both survived. 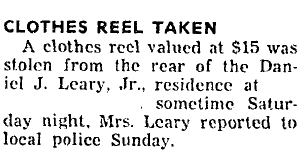 Then in 1959 there was a mysterious theft on the grounds! 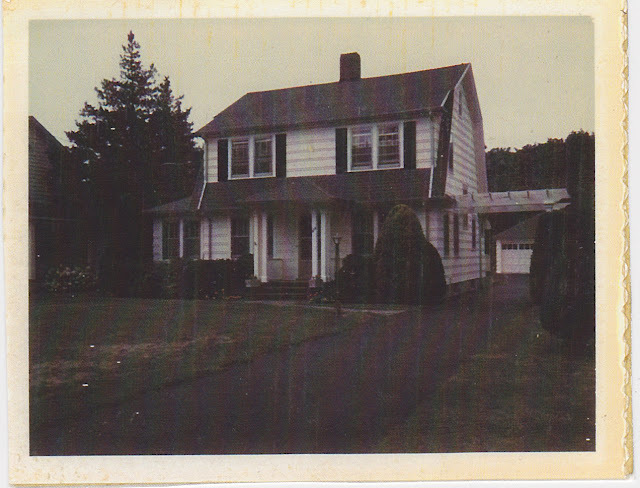 Mr. Leary went on to live in this home until approximately 1961 when Mr. and Mrs. Kelly purchased the home. Mrs. Kelly owned the home prior to me. She passed away in 2003. Her daughter shared the wonderful pictures posted on this page with me. 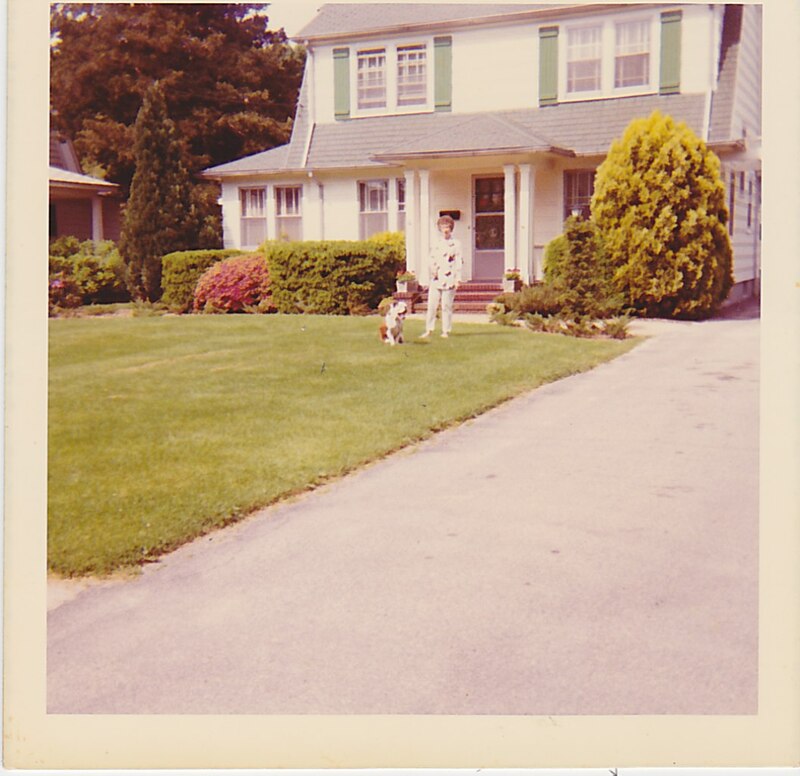 Mrs. Kelly on front lawn with dog circa 1970's. Check out the 2 bedroom house next door. By the time I took ownership it was a massive dwelling. If you live in an old house and have ever wondered about the inhabitants before you, I suggest searching the archives of your local paper. You may be as astonished at the morsels of information you might discover! Circa 2003, when I took ownership. Note the house on the right. 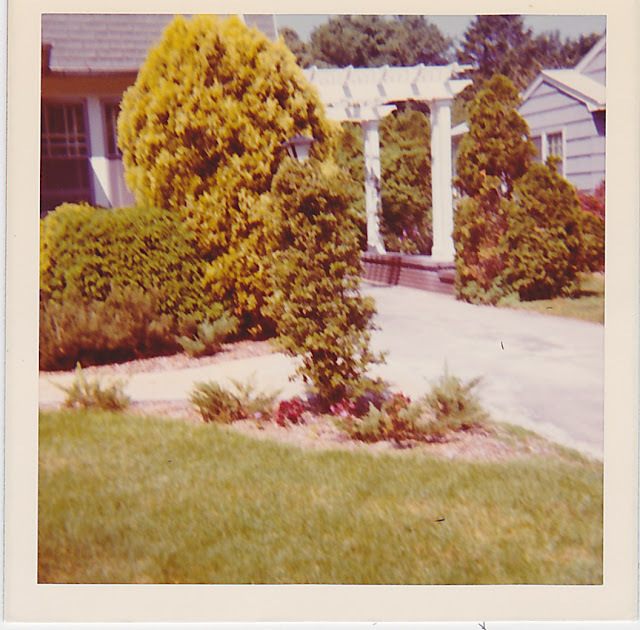 What is the history of your home?